North Korean state media on Monday urged the United States to drop sanctions, as South Korea said it was investigating nine cases of coal shipments that potentially violated U.N. resolutions. 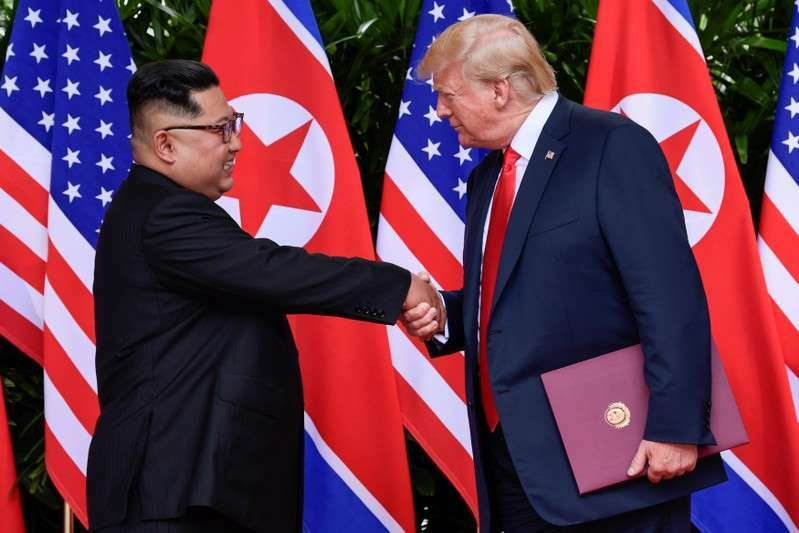 Pyongyang had demonstrated good faith by ending nuclear weapons testing and returning the remains of U.S. troops killed in the 1950-53 Korean War, and the resolutions had lost a reason to exist, said the Rodong Sinmun, a mouthpiece of the ruling Workers' Party. The statements came days after a confidential United Nations report concluded that North Korea had not halted nuclear and missile programs, in breach of U.N. resolutions, and continued illegal trade in oil, coal and other commodities. [post_ads]South Korea is examining nine cases in which coal from North Korea disguised as Russian products was possibly brought in, Seoul's foreign ministry and customs officials said. The Rodong Sinmun accused Washington of "acting opposite" to its plan to improve ties, despite goodwill gestures by Pyongyang, such as a moratorium on nuclear and missile tests, the dismantling of a nuclear site, and the return of the remains of U.S. soldiers killed in the Korean War. "There have been outrageous arguments coming out of the U.S. State Department that it won't ease sanctions until a denuclearisation is completed, and reinforcing sanctions is a way to raise its negotiating power," it said in an editorial. At a security forum on Saturday, the two sides sparred over the Singapore pact, with U.S. Secretary of State Mike Pompeo calling for sanctions against Pyongyang to be maintained, and his North Korean counterpart, Ri Yong Ho, criticizing Washington for "retreating" from ending the war. "The minister made very clear of their continued commitment to denuclearize," Pompeo told reporters traveling with him. Maeri, another North Korean website, stressed the need for U.S. action to build confidence in response to the North's moves to end weapons programs and send back the remains.